David Tennant as Richard II. I love Richard II, Shakespeare’s historical tragedy about the medieval king whose downfall precipitated the War of Roses. Or, as I like to think of it, Game of Thrones Version 1.0. To recap, Richard of Bordeaux is a capricious king who rules by divine right. He finally oversteps himself when he seizes his cousin, Henry Bolingbroke’s, inheritance after the death of his uncle (and Henry’s father), John of Gaunt. Henry returns with an army to claim his dukedom and the nobles, fearing Richard will seize their lands as well, flock to Henry’s banner. Richard’s reign collapses and he is captured by Bolingbroke and imprisoned. David Tennant (Hamlet, Dr. Who) stars in the title role with Nigel Lindsay as Henry Bolingbroke. I had become accustomed to productions in which Richard is a very tentative ruler so I was surprised how commanding David Tennant was as the king. There were also a large number of laughs in the production which isn’t usual. A very pleasant surprise for me was the prominence given to the Duchess of Gloucester scene which is often cut from production. Before the play opens, Thomas of Woodstock (Duke of Gloucester), one of the king’s uncles, has been assassinated (presumably at Richard’s behest) while in the custoday of Thomas Mowbray, Duke of Norfolk. Revenge for the Duke of Gloucester’s death precipitates the duel between Bolingbroke (Thomas’s nephew) and Norfolk. In this Royal Shakespeare Company production, the play opens with the state funeral of Thomas of Woodstock in the cathedral. Bolingbroke and Norfolk argue in the church and eventually agree to their trial by combat. The production retains most of Shakespeare’s original language which may surprise folks who have become used to the more paired down versions. Special shout-outs also go to Oliver Rix (Aumerle), cousin to Richard and Bolingbroke, Jane Lapotaire (the Duchess of Gloucester), and Sean Chapman (Northumberland). The stage design by Stephen Brimson Lewis is very beautiful and worth the price of the DVD by itself. 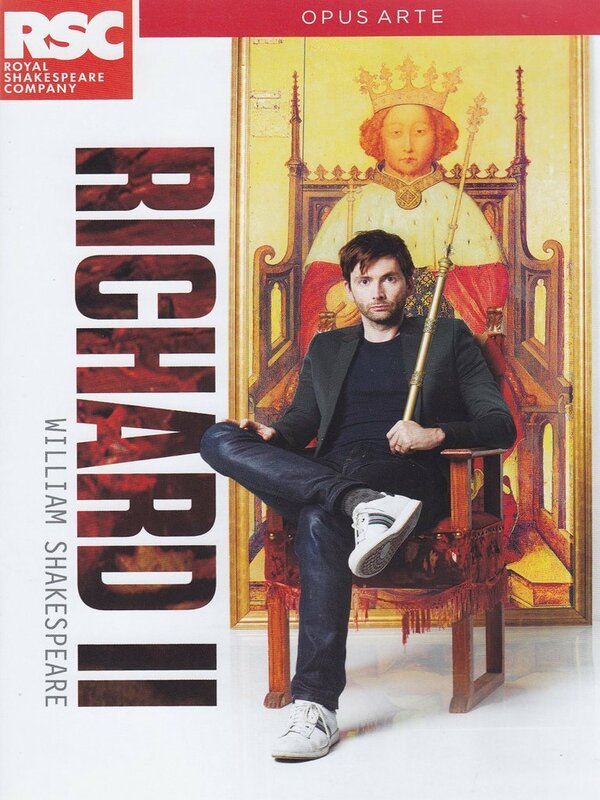 Two thumbs way up to this Royal Shakespeare Company production now out on DVD from Amazon. If you want more background, surf over to the RSC’s Richard II home page. I spent pretty much the entire month of July taking classes through the University of Arnor’s Summer Sessions program. The first week was spent with Neal Conan, former host of “Talk of the Nation” on NPR, as he talked about the history of radio journalism and held the class spellbound with his stories about his time as a war correspondent in the Middle East. The second week was spent learning to paint with watercolors as part of the Hobbiton Summer Arts Festival. I came into the class a complete newbie and came out able to paint recognizable landscapes. The final week was spent taking a six-day improvisational theater class that cumulated with a showcase Saturday evening. I hadn’t expected to be in an hour-long show, but we had a great audience and my classmates and I totally rocked the joint. I took a week off from work for the watercolor class, but otherwise worked half-days as the other two were evening classes.